With one up and running, plans for a new kind of village are announced. OpportunityVillage held an open house this past weekend to celebrate the completion of the first tiny house village in Eugene, Oregon. The event attracted around two hundred people from the surrounding community and as far as Dallas, Texas. Tours were provided by some of the 31 residents of the self-governed community for otherwise homeless individuals and couples. The pilot project opened with a dozen residents in August of last year after receiving a conditional use permit from the city. Volunteers and residents built the tiny houses of 60 to 80 square feet over the course of the past nine months to grow the community incrementally. The compact dwellings are supported by common gathering, kitchen and restroom facilities. More than 50 people have called it home for varying lengths of time since the project opened. “I want to say on behalf of the City of Eugene,” Mayor Kitty Piercy told the crowd, “We told you from the beginning that this was a pilot to try this out to see if it would work… Congratulations, I think it’s beautiful! I'm so grateful to the community and all of you who live here and work here. The things you have put together, who knew this could all happen?... we are so proud of you." With significant amounts of volunteer labor and donated materials, Opportunity Village was able to be built for around $100,000 cash—all with private donations from individuals, businesses, and organizations. Residents now pay a $30 monthly fee to cover operating expenses. 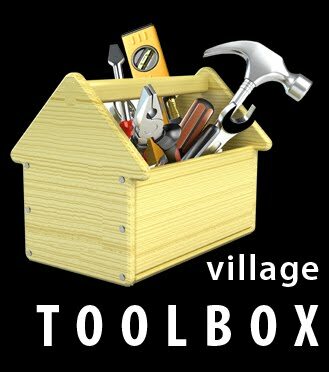 Oversight is provided by a non-profit organization, Opportunity Village Eugene (OVE). 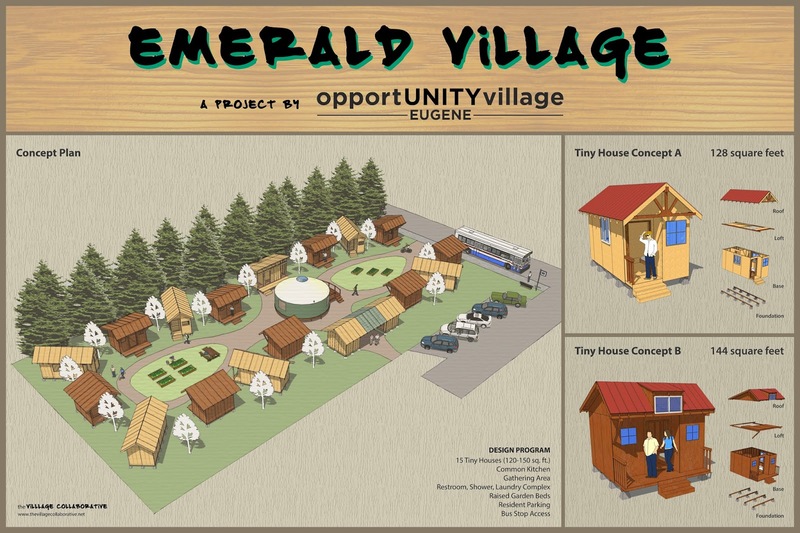 During the open house, the organization unveiled plans for a second tiny house village, known as Emerald Village. While Opportunity Village will continue to provide transitional housing to those experiencing homelessness, Emerald Village presents a vision for 15-units of long-term, affordable housing. Houses at Emerald Village will be roughly twice as big at 120-150 square feet with a kitchenette, heat, and electrical hook-ups. Similar to Opportunity Village, the mirco-housing will be supported by common gathering, kitchen, and restroom facilities. This concept of combining compact private spaces with shared common facilities is similar to the once popular single room occupancy (SRO) hotels. But throughout the twentieth century, urban policies effectively cut out this bottom sector of the private housing market. With diminishing housing options we have found ourselves in what the U.S. Department of Housing and Urban Development has recently called, “the worst rental affordability crisis the country has ever known." Emerald Village departs from conventional affordable housing, which is inherently dependent on government subsidies that are in short supply. By building small and sharing resources the villages keep costs low and reduce environmental impact—resulting in affordable housing that is more accessible and sustainable. Residents will tentatively make monthly payments of around $150 to $200 toward the value of their tiny house. Once the houses are paid off, residents will only be required to pay for utility costs. If residents decide to leave the village, they can then sell the equity accrued back to the non-profit. OVE has recently begun a $100,000 fundraising campaign for the physical development of Emerald Village. A local anonymous donor has already offered to match any donations to the project up to $25,000. The non-profit is also in the process of exploring potential sites for the project. Article and photos may be reposted with credit. This is inspiring thanks to everyone that made it happen. It can serve as a model for other cities for follow to help address homelessness and other housing issues.